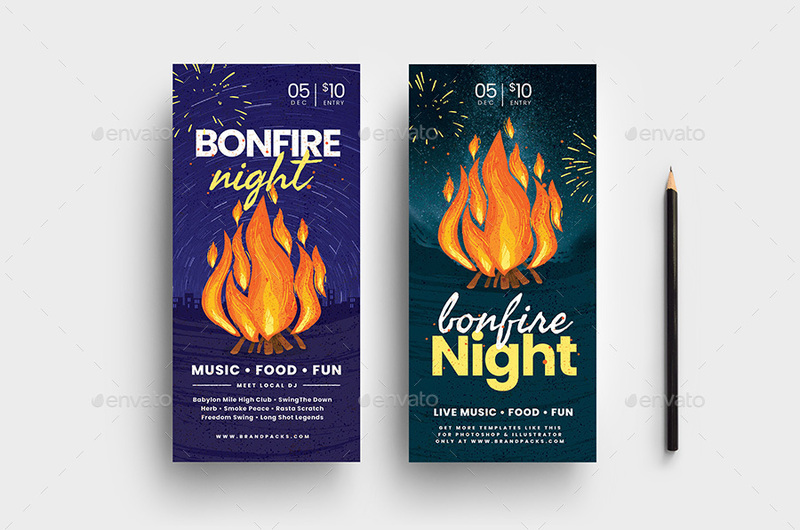 A set of beautifully illustrated Bonfire Night DL Rack Card / Flyer templates in both Photoshop PSD & Illustrator Ai/Vector format. 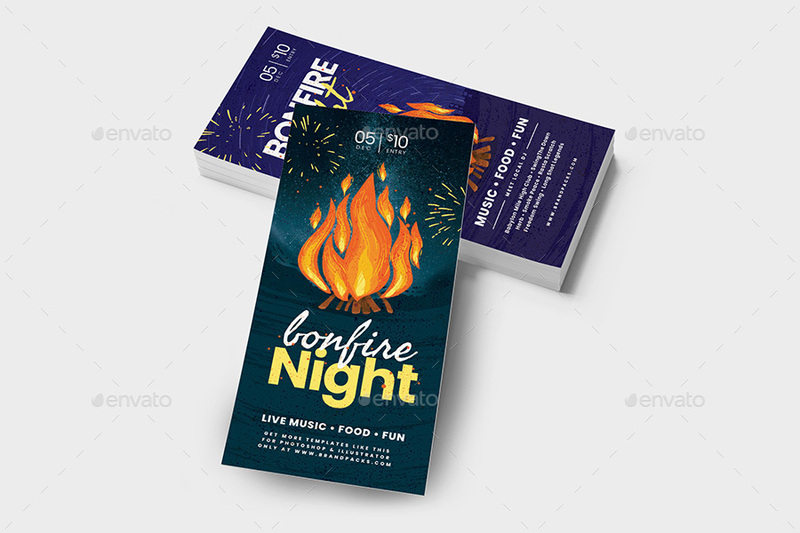 These simple designs feature a large illustrated bonfire / camp fire with a rustic illustration style. This tempered design style makes the templates a practical choice for schools, churches, local communities & hospitality businesses. 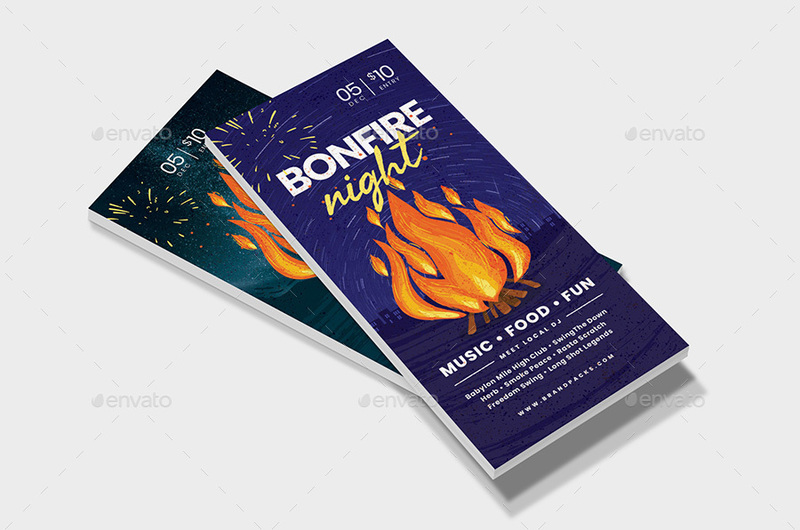 The templates are ideal for bonfire night events, guy fawkes celebrations and even camp fire cookout gatherings. Changing colors, editing text and altering layout elements is very easy and takes just minutes to customize. Give ‘em a try, we’re sure you’ll create somethign impressive! 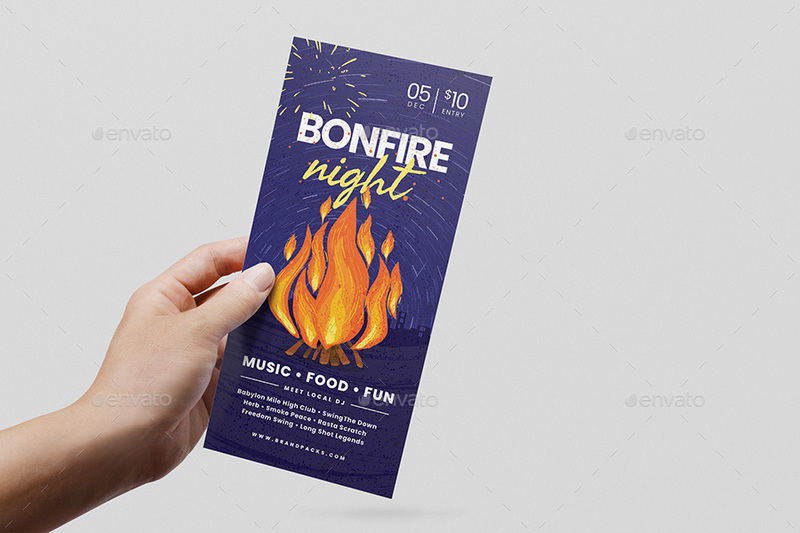 Please note: stock photos are used for preview purposes only and are not included in the final download.